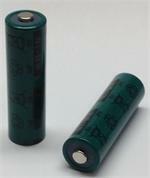 N-700AACL : SANYO 1.2v 700mAh rechargeable AA battery - for Solar lights, etc. 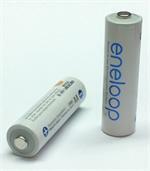 The N-700AACL is a SANYO-brand 1.2 volt 700mAh AA SPECIAL SIZE rechargeable Ni-Cad battery. 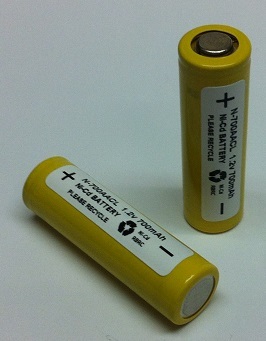 Low-profile, flat-top style battery cell. Height approx. 1.9"; diameter approx. 0.555". 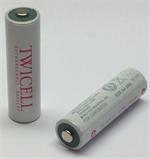 Ideal for Solar Lights, and standard assemblies requiring AA NiCds that are shorter than normal. Solder tabs optional - add $ 0.25 per cell.